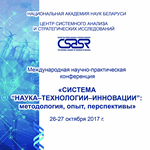 October 26-27, 2017 in Minsk (Belarus) took place International scientific and practical conference "System "Science-Technologies-Innovations": Methodology, Experience, Prospects". The conference was organized by The Centre of System Analysis and Strategic Research (CSASR) of the National Academy of Sciences of Belarus with the support from The National Academy of Sciences of Belarus. Republican Centre for Technology Transfer (RCTT) invites employees of regional offices and branches of RCTT to take part in the competition to participate in a training "Innovation and Entrepreneurship in the USA" which will be held in the United States in spring 2018 in the framework Professional Fellows Program. 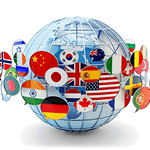 The deadline for submitting an online form - until 13 November 2017. Authors from Belarus have developed and patented a game ball that has new consumer properties. The ball has an original shape, is injury free, characterized by an increased stability of the flight path. The creators are looking for partners for a financial agreement or the creation of a joint venture to produce and promote a new kind of a game ball. 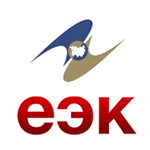 Belarusian Business Innovation Centre "EEN Belarus" as a co-organizer of the "Korea Grand Sourcing Fair 2017" invites Global Sourcing Partners to participate in the event. Republican Center for Technology Transfer as an infrastructure partner of GenerationS-2017 invites startups of the Republic of Belarus to take part in the competition of the largest start-accelerator GenerationS in Russia and Eastern Europe. 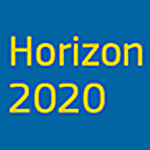 The Delegation of the European Union in Belarus informs about planned contests for EU grants for the Eastern Partnership countries in the field of industrial sustainability (Call - INDUSTRIAL SUSTAINABILITY). 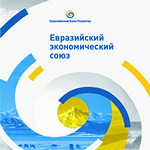 The Russian Centre for Strategic Research published a report on "Effective use of intellectual property." The report you can download here (in Russian).